Lower School boys were treated to a morning concert yesterday by Saint David's First Orchestra, Percussion Ensemble, and Philharmonic Ensemble. 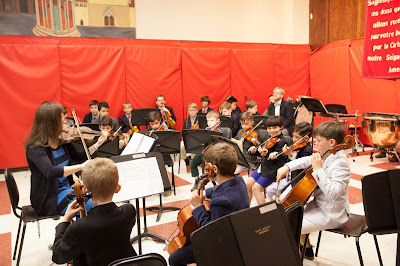 Directed by Mrs. Francis, our young musicians of the First Orchestra played "I Saw Three Ships" and an arrangement of Vivaldi's "Spring" Concerto. 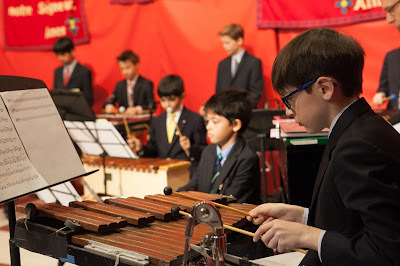 The Percussion Ensemble, under the direction of Mr. Francis, followed with "Spanish Dance No. 5" by Enrique Granados; the Philharmonic Ensemble, conducted by Mr. Hough, closed with "The Pink Panther" by Henry Mancini and "In the Hall of the Mountain King" by Edvard Grieg. The musicians also spoke to the audience about the works they were playing, and taught the boys in the audience a bit about each group and its instruments. Music is integral to Saint David's program and our embrace of the classical ideal of balance in all things. Our boys are fortunate to be able to participate in a strong music program, and will be even more fortunate to play from the stage of our new performing arts center come September. Last week, our sixth graders were in Washington, D.C., the culminating experience in their year-long study of American history. The three-day trip included a tour of the Capitol; a Supreme Court docent lecture; viewing the Gallery of the House Chamber; visits to Arlington National Cemetery, the Smithsonian National Air and Space Museum, the Museum of American History, and Mount Vernon; and an evening tour of the national monuments. This signature sixth grade experience provides our boys the opportunity to observe institutions of our democracy in action, and deepens understanding of topics they have studied in both history and science. Eighth graders began their study of DNA last week through our partnership with the Cold Spring Harbor DNA Learning Center, the world's first science center devoted to genetics education. 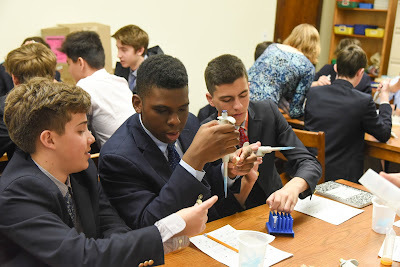 DNA educators work with our teachers to lead this unit, which builds on the boys' introduction to DNA in the fifth grade. This spring they are carrying out original research using DNA barcoding and gel electrophoresis, following the lab protocol that molecular biologists employ to extract and analyze DNA. 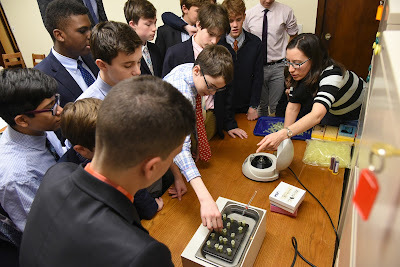 They also learn how to use the actual equipment that DNA researchers use. This inquiry-based unit builds on our boys' curiosity about genetics and is part of a year-long study of the science of the human body. 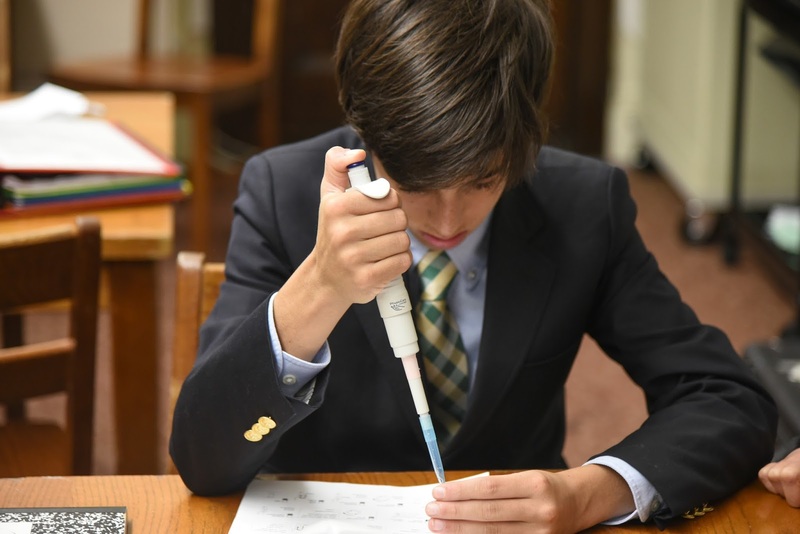 Our school's partnership with DNALC, now in its fifth year, provides them the opportunity to benefit from the expertise of the DNALC as well as their exceptional science teachers. 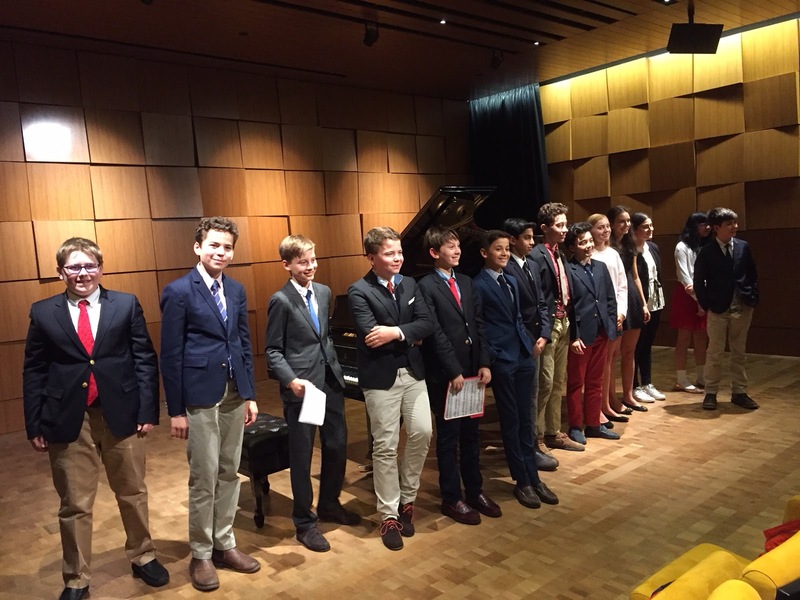 This past Tuesday, Saint David's advanced piano students joined with several piano students from the Marymount School to perform in a piano recital at Steinway Hall. In this elegant setting, our boys showcased their talents on a nine-foot concert grand piano. 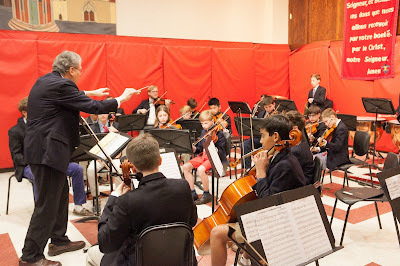 The students played works by composers that included Pachelbel, Mozart, Bach, Einaudi, and John Legend, among others. 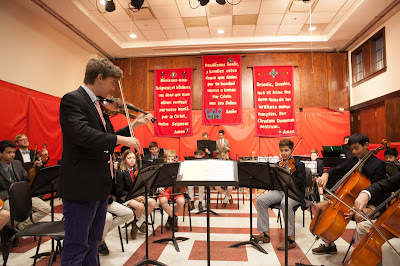 The program also featured a world premiere written and performed by Julian S. '18. 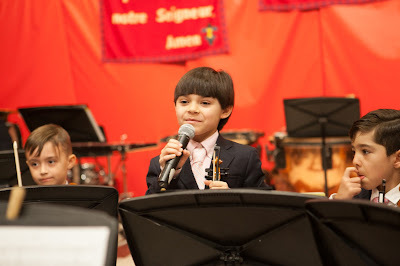 The boys enjoyed listening to each other and their colleagues from Marymount, and the concert was a rousing success. Congratulations to Saint David's and Marymount's accomplished pianists for providing a beautiful evening of music.